One phrase that’s been absurdly diluted over the last few centuries? Renaissance man. Leonardo da Vinci painted the Mona Lisa, imagined flying machines and dissected human corpses. Justin Timberlake staged an elaborate Grand Central flashmob and put his d*ck in a box. With all due respect to JT, Jamie Foxx, Beyoncé and Donald Glover, perhaps the real renaissance men and women of today are a bit off the well-publicized path. Perfect example? Alfredo Juarez. 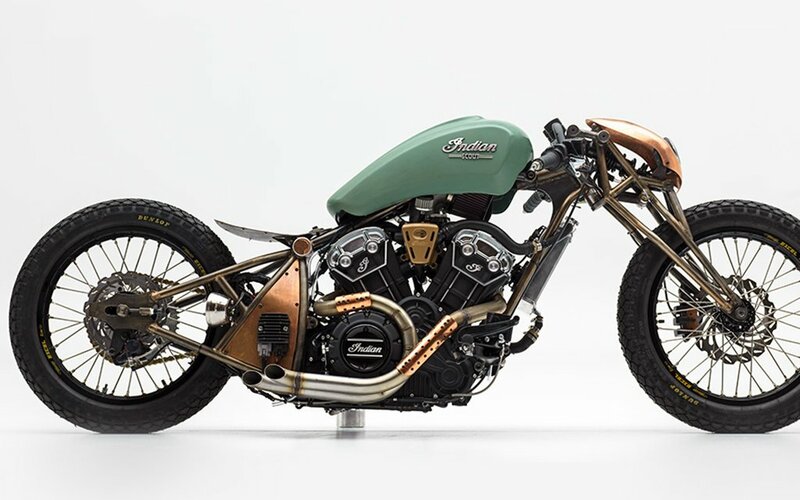 A NASA engineer, Juarez recently took first prize in Indian Motorcycle’s Scout Bobber Build-Off. For a guy whose engineering expertise is usually relegated to theories and computer modules, the fact that he got this thing from paper to asphalt is one hell of an accomplishment. At NASA, Juarez is the “fire guy” — a flammability test engineer. He runs tests to make sure each component of NASA’s massive rockets and machines are up to snuff. Pretty important gig. 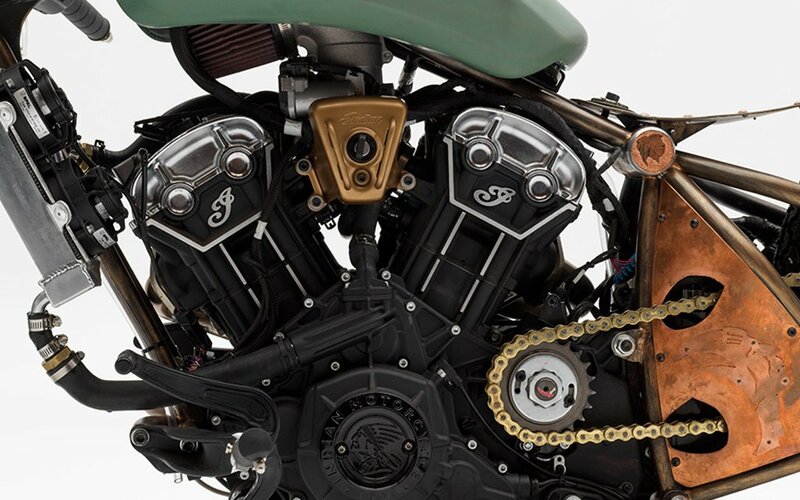 And it was that attention to detail that manifested in his chopper’s exposed engine and pared-back chassis. And beyond the El Paso native’s affinity for the machine’s inner-workings, Juarez just has an easy, natural eye. 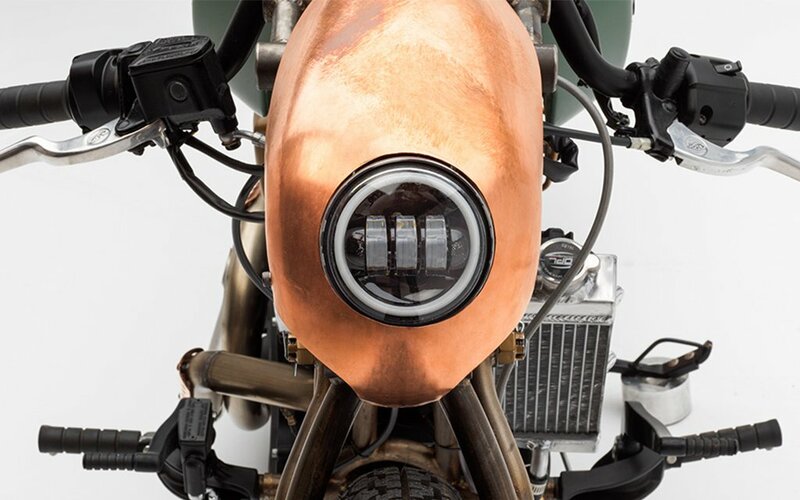 The muted teals and warehouse bronze finishes combine to make for a stone-cold beaut of a bike. 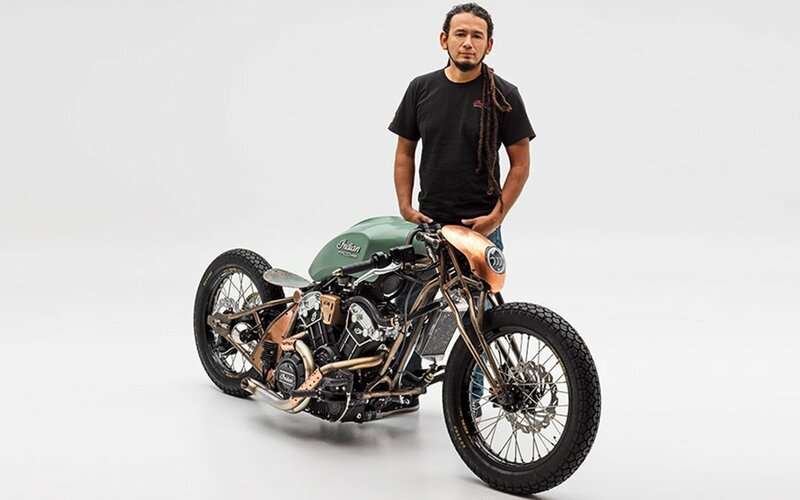 With the win (earned from a panel of judges that included Roland Sands and Jason Paul Michaels) Juarez earned $10K and a spread in Hot Bike Mag. Find more information about the project here. But don’t expect this thing to go on sale. 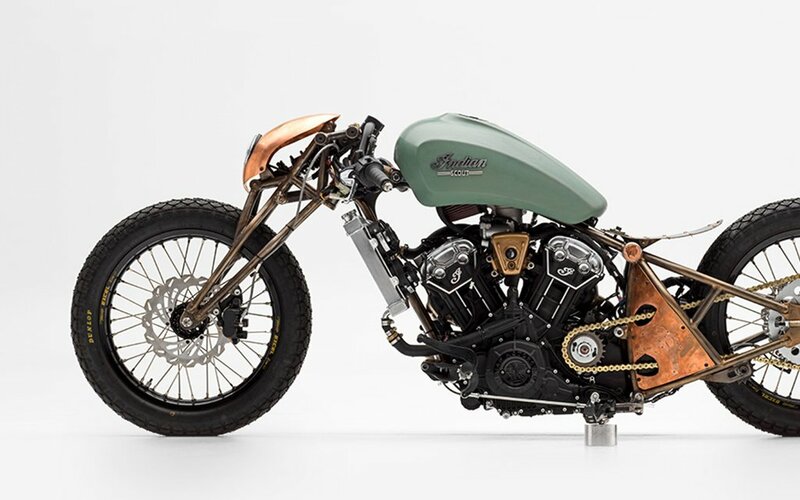 Juarez plans to ride it himself and eventually gift it to his daughter.